As a black dancer raised in a predominately white suburban studio I often struggled with my identity. I didn’t know who I was or what I was supposed to be. I only saw myself as “the token black girl” of the group. Though I was very social I hid my personal struggle from those around me because I knew they wouldn’t understand. Eventually dance became an escape from my identity crisis. Through dance I began to find myself. Dance helped me build an identity for myself breaking all the stereotypes being forced upon me. Dance taught me self- discipline, commitment, and determination. Dance defines my existence as an artist. At age fourteen, while attending a regional dance convention, the late David Howard awarded me a scholarship to The Joffrey Ballet’s summer intensive. I couldn’t believe it! I was going to New York City, the dance capitol of the world! After that experience I got serious about my technique. 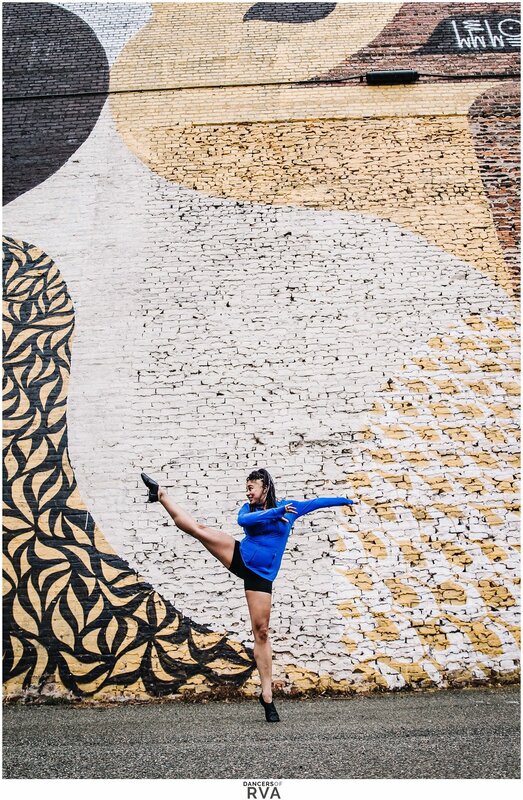 I left home every summer to train in New York, attending ballet intensives at The Joffrey Ballet for a second time, The Dance Theatre of Harlem twice, and Ballet Hispanico. I did a summer intensive at The Richmond Ballet once but I don’t like to talk about it. My ballet mentors Robin Dodd, the late Tomi Short and Scott Foxx understood me best and supported my decision to leave home. By the time I graduated high school I was ready to move to New York and start my dance career, however my parents quickly reminded me that life is not a movie and I need to go to college first before running off to New York City chasing dreams. They urged me to stay in VA and go to school in state. After reviewing the in-state schools I was accepted into, I chose Radford University because they had a Ballet Degree (and it got me as far away from home as I could get.) During my time there I didn’t feel challenged. It was too easy. So, being the aggressive and stubborn 19 year old that I was, going against my parents’ wishes I dropped out of school, went to New York and auditioned for The Ailey School. I got in and immediately moved to New York, graduating from their Certificate Program in May of 2004. I felt bad for disobeying my parents but that decision was THE BEST decision I ever made. The New York dance community changed my life! I made lifelong friends from all corners of the globe with inspiring journeys not much different from my own. For the first time in my life I felt a sense of belonging. It was then that I learned dance is a universal language meant to bring people together. Dancers are ambassadors of peace. Thanks to my Ailey mentors who took me under their wing (Karen Arceneux, Sharon Wong, Tina Busch and Eddie Stockton) I went on to have a very fulfilling performance career as a concert dancer with the Nai Ni Chen Dance Company, Genesis Dance, ArchDance/Jennifer Archibald, the Errol Grimes Dance group, JP Dance Group and more. 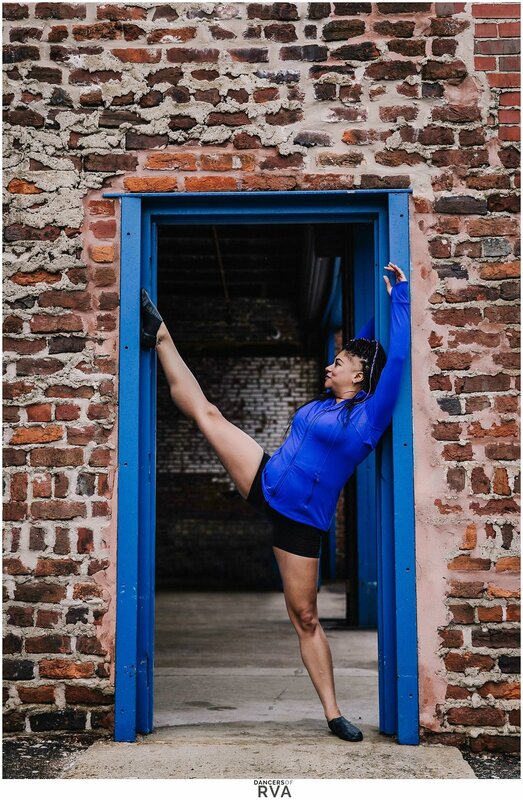 I got to work with highly respected choreographers who nurtured and supported my growth, toured nationally and internationally and live my life out loud onstage. After 13 years in New York dancing, teaching and working multiple side jobs I got burned out. The cost of living kept going up and my bank account kept going down. The city finally got the best of me. I was now an out of shape aging dancer unsure of how much longer my body would hold up. So, in summer of 2015 I decided to move back home and regroup. 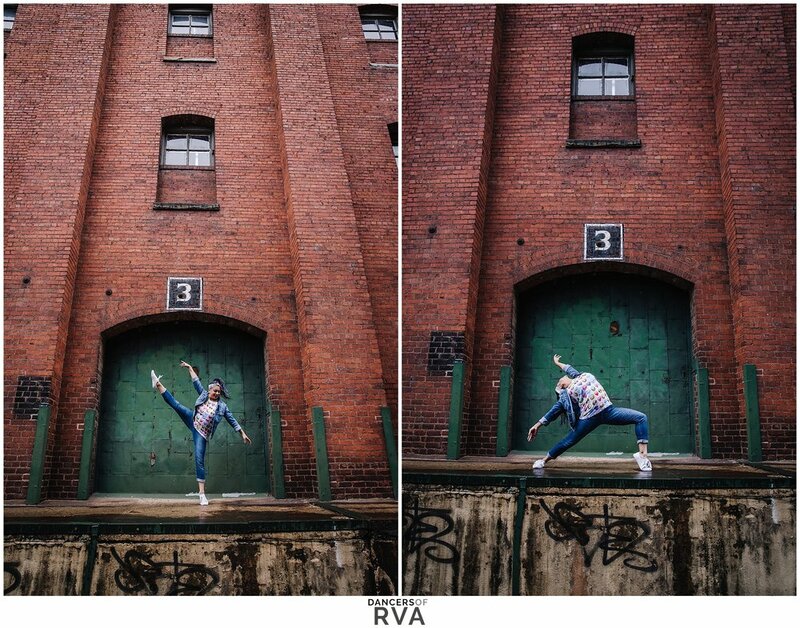 I relocated back home to Richmond with my Bronx native boyfriend (who is now my husband) and continued my dance journey. Though I was back home in the south I still had a New York work ethic. 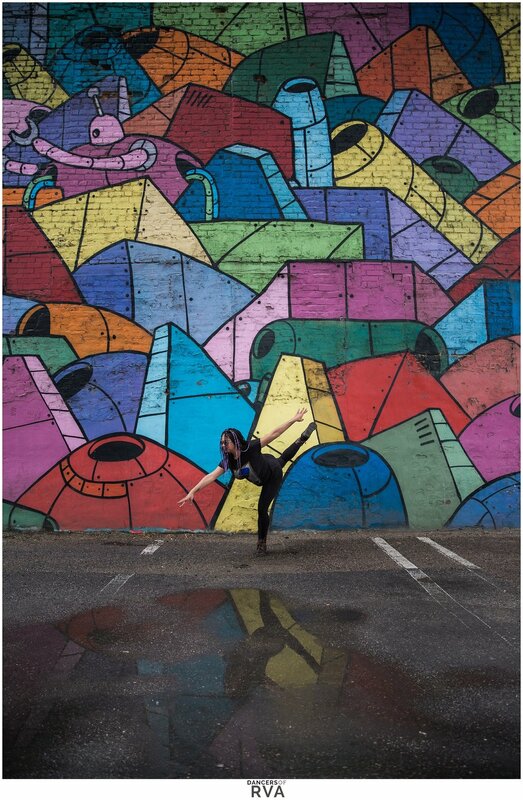 I quickly landed two teaching jobs (Marianne Kelley School of Dance and Momentum Dance Center.) Outside of work I wanted to explore the choreographer me on a deeper level. 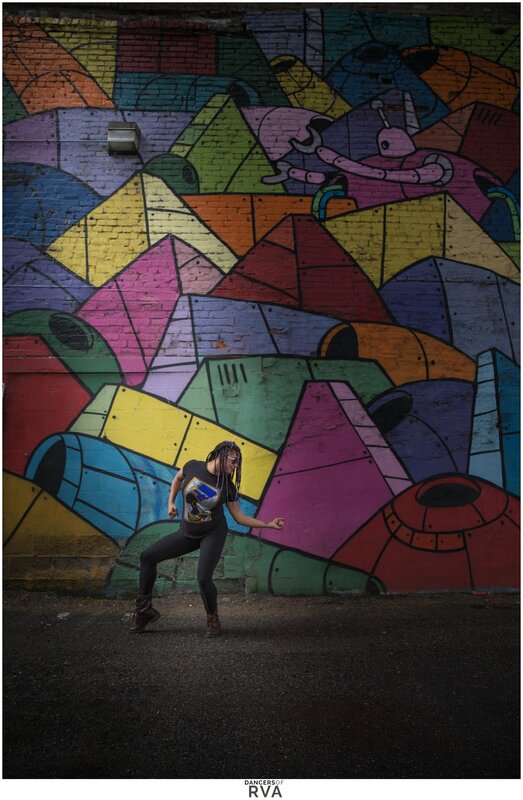 And with the help of the Space Microgrant of Dogtown Dance Theatre I found a new home, created new works and launched KrasH!Dance, a theatrical contemporary dance company. Since then, the company has performed in a self-produced studio showing, 2 formal concerts, The 3rd Annual Richmond Dance Festival, Small Plates Choreography Dance Festival in Lorton, VA and the 18th Annual Virginia Dance Festival, a benefit concert that raises money for the Children’s Hospital. I am a firm believer in dancing with purpose. Whether it’s to express yourself or tell a story to your audience, you should always dance for a purpose. Everything I dance, choreograph, say, do and even wear serves some sort of meaningful purpose. Performing art to entertain and inspire others is my sole purpose. And if I can make someone smile, laugh, think or feel in the process then I’ve fulfilled my duties as a human being. make someone smile, laugh, think or feel in the process then I’ve fulfilled my duties as a human being. " 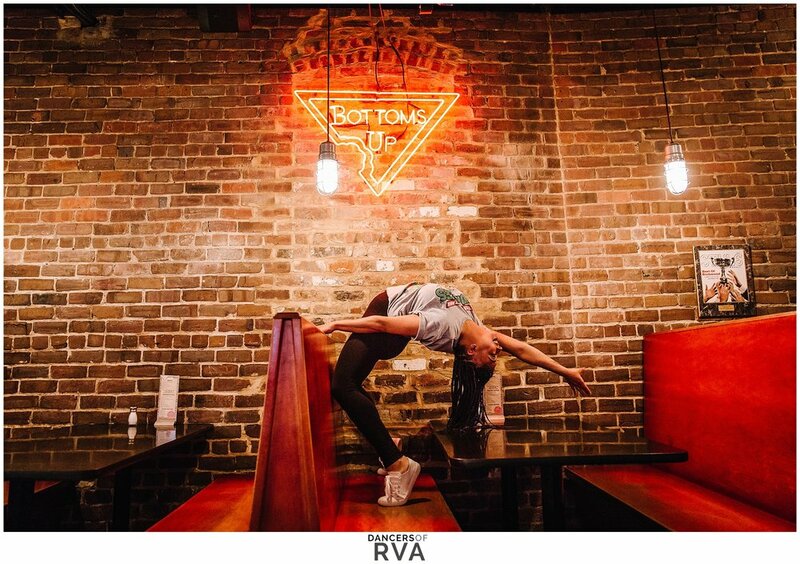 “As a native of Richmond, one of my favorite places in the city is Bottoms Up Pizza in Shockoe Bottom. Back in the day my dad used to go there a lot with his coworkers on their dinner breaks in between news segments while working at NBC12. And if they didn’t have time to go and have a sit down dinner then one of them would order a pizza and bring it back to the station for the crew. They have so many great memories of bonding at work while indulging in that delicious deep dish loaded pizza. And because of that it has become a place for our whole family to enjoy. Whether it’s a special occasion or family coming in town for the holidays we always add a stop at Bottoms Up on our list of things to do. I even have an aunt who happily drives 2 hours from the Hampton area whenever she can just for their pizza. It’s THAT good! 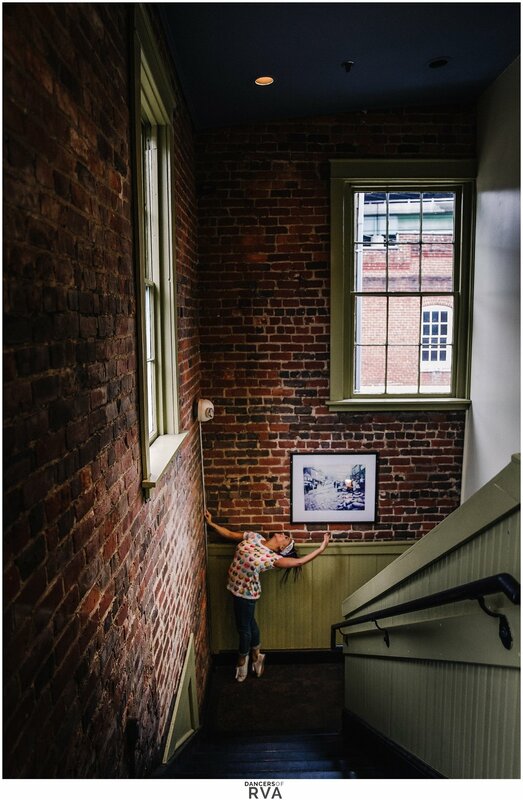 It’s also become a favorite date night spot for my husband and I since 2015 when we relocated to Richmond from New York. We enjoy our visits there because it gives us that true city feeling along with a great pizza experience. Everything from the cool industrial décor to the fantastic menu gives us that New York feeling whenever we are homesick for the Big Apple. We’ve also made it a tradition to have dinner there for my birthday (which is Halloween). So every year we begin our Halloween night with a room at the Berkley Hotel and dinner down the street at Bottoms Up. Then we bar crawl through Shockoe Bottom all night long in full costume, making new friends, and having a great night on stomach full of the deliciousness of Bottoms Up Pizza.